Glancing at facts and figures is often a fun way of measuring your commitment to something. In the case of drinking coffee, it can be intriguing to see how your consumption compares to that of the “average” person. Are you as devoted to this beloved beverage as most of your fellow citizens? To start with, though, let’s look at some numbers that you’re unlikely to match. Guinness World Records, a publication that debuted in the mid-1950s, is one of the top global brands when it comes to documenting astounding human achievements, and it includes several records that concern coffee. For example, on July 17, 2014, a Caffe Bene coffeehouse in Yangju, South Korea, unveiled the biggest cup of coffee ever made: It contained more than 3,758 gallons of java. A month later ― on August 13, 2014 ― the Earth’s largest coffee shop opened in Riyadh, Saudi Arabia. The beautiful Al Masaa Cafe can seat up to 1,050 customers at a time. The numbers that Zagat collects every year, meanwhile, are impressive in their own way. Nina and Tim Zagat, married New York City attorneys, founded this company in 1979. Since its inception, it has compiled restaurant reviews from diners and published the results. In 2011, Google acquired Zagat. Then, in 2013, Zagat began releasing the findings of its National Coffee Survey, an annual poll that asks approximately 1,500 people about their coffee routines and preferences. Statistics from the third National Coffee Survey came out in March 2015. 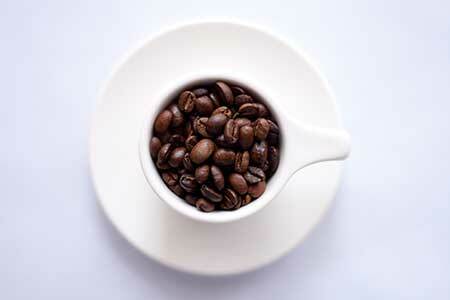 Of the people who say that they like coffee, 82 percent drink at least one cup each day. In addition, Americans take in an average of 2.1 cups daily. The survey’s male participants drink more coffee every day than their female counterparts: 2.4 cups to 1.9 cups. Also, older people drink more than younger individuals. For instance, people between the ages of 20 and 29 drink an average of 1.8 daily cups while those between 50 and 69 enjoy 2.4. A plurality of people, 43 percent, make most of their coffee at home or at work. About 22 percent get most of their joe from independent coffeehouses or local chains, and 26 percent purchase the majority of their coffee from major chains such as Starbucks or Dunkin’ Donuts. When consumers go to stores or restaurants for coffee, they pay $3.28 per cup on average. That number is a little startling when you consider that Zagat’s 2013 survey reported an average of $2.98 for one cup. Of course, Zagat isn’t the only organization that conducts regular coffee surveys. The National Coffee Association (NCA) is another. The NCA, which was founded in 1911, is the primary lobbying and research group for the U.S. coffee industry. Every year, it releases the National Coffee Drinking Trends (NCDT) report. The first such report was published in 1950, and since then, it has been a trusted and highly detailed resource for information about American coffee habits. In fact, the 2015 version is more than 1,500 pages long. The 2015 NCDT survey, in which approximately 3,000 adults participated, found that 81 percent of coffee drinkers consume it in the morning, and 13 percent of people who drink it on the job are unsatisfied with their coffee-preparing options at work. On top of that, 59 percent of respondents had consumed coffee the day before they took the survey. By contrast, only 39 percent had drunk soda, and just 49 percent had drunk tap water. You can also get a sharp sense of consumer tastes and trends by studying the coffee industry. For example, in the U.S., there are now about 24,000 coffee shops in existence. However, with an annual growth rate of 7 percent or so, coffee shops represent the sector of the restaurant industry that’s expanding at the fastest rate. By the way, per capita, Seattle is the American city with the most coffee establishments. Furthermore, approximately 30 million Americans currently order at least one specialty coffee drink every day. The coffee that the U.S. imports each year is worth more than $4 billion, and this nation consumes more coffee ― about 400 million daily cups ― than any other country. What’s more, the average size of an American cup of coffee is 9 ounces, and the average coffee drinker will spend $164.71 on this beverage in one year. More than 70 nations grow coffee. According to the International Coffee Organization, Brazil is the world’s top coffee-producing country. In 2014, Brazil’s 27,000 square kilometers of coffee plantations yielded more than 2.7 billion kilograms of coffee beans. Vietnam took second place, and Colombia came in third. On an amusing note, here’s one last tidbit to ponder: According to the Huffington Post, 52 percent of coffee drinkers would take their morning java over a shower if they were forced to choose between the two.